"We do not rise to the level of our expectations. We fall to the level of our training." 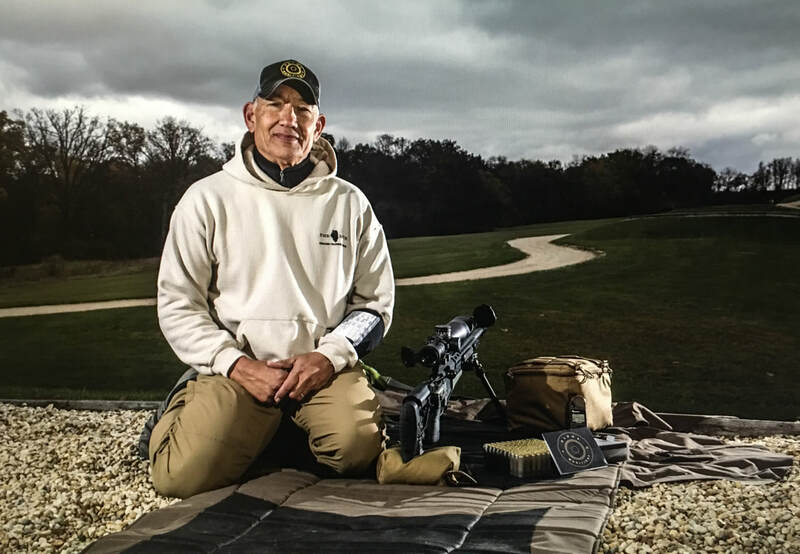 TPF Outdoors LLC is proud to work and train in conjunction with with The Site’s President and Director of Training, former Navy SEAL Master Chief Jim Kauber, to bring unique and exclusive experiences to our customers. The Site, along with Black Bear Lodge North, combines world-class training, elite instructors, unrivaled facilities and beautiful on-Site lodging like no other training facility can. The Site offers multiple pistol, shotgun and carbine ranges with a variety of configurations and target options depending on the class. The ability to incorporate a variety of stationary and moving targets while adding barriers, obstacles and assorted vehicles into the training evolution adds a degree of realism not found at most training venues. The Site features a perfectly manicured 600 yard range, which is the ideal training area for hunting, precision, and special purpose rifle courses. This range is configured with pea gravel firing points in 100 yard increments affording comfortable shooting in a variety of positions. Additionally, a combination of paper, stationary/reactive steel and moving targets are employed. This range can also be setup as an unknown distance range. The Site also has a fully covered 2700 sq. ft. live-fire shoot house, which features ballistic walls, ballistic bullet traps, multiple rooms/hallways and a full length overhead catwalk for instructor observation. The Site features a two story configurable simulation shoot house ideal for home defense and advanced tactical courses. This facility is used for non-lethal reality based training. The realism our two shoot houses provide make them invaluable tools in a well rounded tactical or home defense training program. The planned installation of cameras will allow after action review to further improve student skills. Welcome to the Black Bear Lodge North located at The Site. 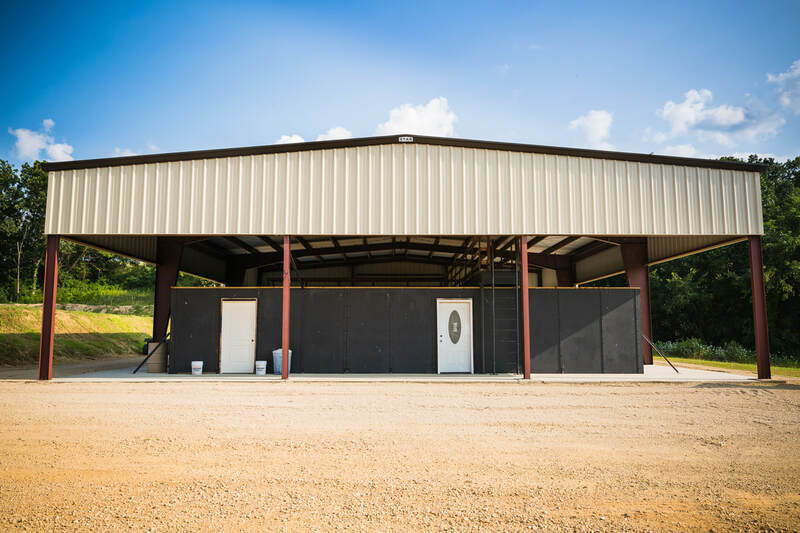 The nation’s premier firearms training center is made better by the convenience of having deluxe accommodations just a short distance from the firing line. Their well appointed rooms and private cabins offer guests a relaxing atmosphere to unwind after a day spent training on our ranges. Black Bear Lodge also has a great back patio with an incredible view of the Mount Carroll area. The lodge’s indoor common area has a dining room and great room perfect for socializing with other guests and The Site’s instructors. You can also choose to stay in one of their more private cabins, perfect for families and groups. Each cabin has a full bathroom, television, and multiple beds. The Lodge is located just a few minutes from the firing line. FAST is designed upon the core principles of marksmanship & proficient gun handling and is the prerequisite for the tactical courses offered at The Site. By focusing on the fundamentals, FAST can be utilized by the experienced shooter as a means to sharpen existing skill sets and for the unfamiliar, it is an excellent vehicle in which to habituate proven gun handling techniques and lay the foundation for future success. The first part of this course has a heavy emphasis on all aspects of operating a firearm under stress. Beginning with the simple and progressing to the complex. Once a solid foundation is built, the remainder of the course is spent instilling those fundamentals by shooting deliberately designed isolation drills. REV Pistol is based on addressing the reality of a violent confrontation and to develop an understanding of the criminal assault paradigm. This includes intensive work on a robust and consistent draw stroke from the holster, understanding and using environmental factors for cover, concealment, and distraction. This 2 day course is conducted almost entirely in The Site's live fire shoot house. The course will focus on the proper methodology of clearing single and multiple rooms, hallways and stairwells. Home invasion de-escalation or escalation, thoughts on prioritizing actions in the home, i.e., staying where you are in the home and protecting yourself or moving through the home in defense of others (spouse, children, grandchildren etc. ), 911 dispatch verbalization and dealing with law enforcement officers once they arrive at your home. This course is designed to give students safe, practical, and proven techniques and tactics dealing with self and home defense issues in low to no light environments. This training will consist of lecture, range work, reality based force on force scenarios, and live-fire interior structure work. This is not a beginner’s class and a solid foundation in weapons handling and safety is required. Day one will be a long day going into the evening hours. Day two will be shorter but will culminate in live fire evolutions in low light conditions inside The Site’s live fire shoot house. This course is designed to give people who utilize concealed handguns realistic training and methods to carry, employ, and fight with their handgun at a variety of distances from 0 to 25 yards. The vast majority of the work in this course will be from concealment. This is not a beginner’s course and a solid foundation in weapons handling and safety is required. Appendix carry holsters are welcome and will be specifically addressed. FAST is designed upon the core principles of marksmanship and proficient gun handling and is the prerequisite for the tactical courses offered at The Site. The first part of the course has a heavy emphasis on all aspects of operating a firearm under stress. Beginning with the simple and progressing to the complex. 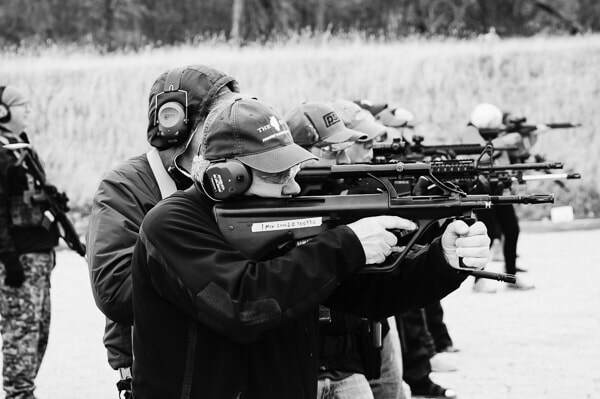 This course is designed to give students practical skills and knowledge in using their carbine rifles in a variety of defensive situations. Students should expect to receive a strong refresher in the area of Defensive Fundamentals and then quickly move on, pushing the boundaries of traditional flat range rifle training to cover areas often not addressed. The curriculum will take the shooter into the arena of dynamic performance shooting at a variety of distances from 0 (hands on) to 100 yards and also will involve work inside structures and vehicles. This is not a basic class and will require previous training in basic carbine safety, handling, operation and marksmanship. 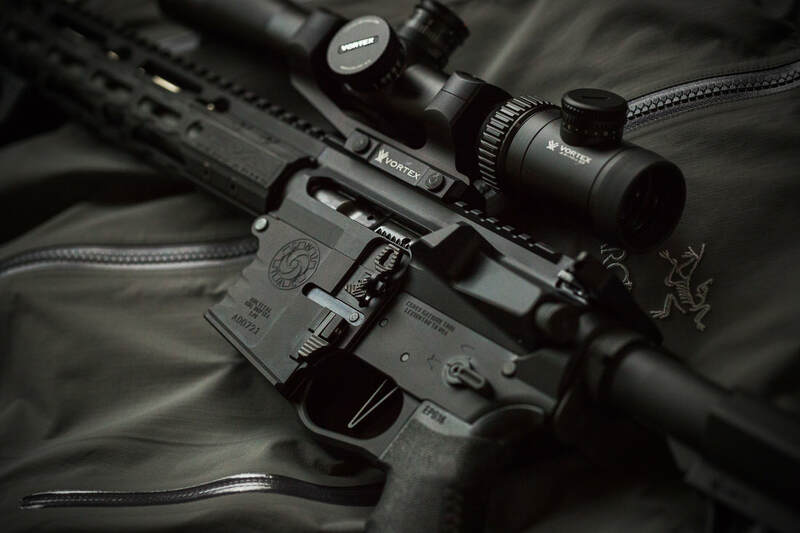 The 2 day DMR course is specifically designed for the tactical application of the AR platform or other semi-auto style rifles chambered in 5.56, any of the 6.5/6.8 variants and 7.62 NATO/308, configured with a variable power tactical scope in the 1-6x, 2.5-10x or higher magnification with Mil Dot or MOA style reticle. 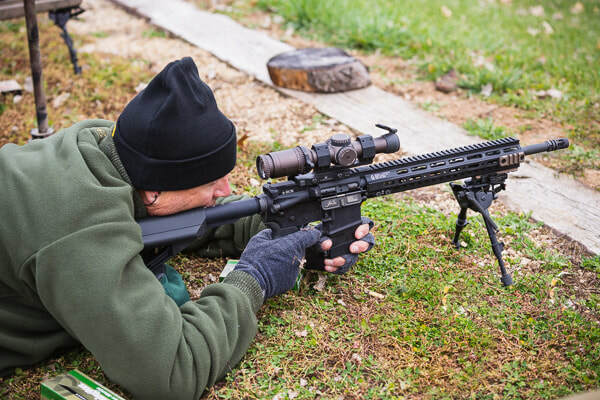 DMR will focus on extended range distances (100 – 600 yards) and will allow the attendee to bridge the gap between tactical carbine and long-range precision rifle capabilities. This course provides the attendee with the opportunity to effectively engage stationary targets from 100 to 600 yards and moving targets from 100 to 300 yards. This fast paced, comprehensive course is designed for both novice and advanced level precision rifle shooters. The curriculum will cover the use and capabilities of the precision rifle system, comprehension of external environmental forces that affect bullet flight and the application of simple mathematical formulas that result in precise bullet placement on stationary and moving targets to 600 yards. This 2-day course will allow you to sharpen your skills before heading out on your next rifle hunt. The course’s goal is twofold: understand the ballistic characteristics and capability of your individual firearm/ammunition and most importantly, identify your personal capabilities and limitations when in actual field conditions with the equipment you’ll be carrying on your hunt. For most people, preparing for a hunt entails going to a 100-yard range to sight your gun in “3 inches high at a hundred yards” from a bench and calling it good. Not so at The Site. We ensure your hunting rifle is set up for you, sighted in and zeroed at the optimum ACTUAL distance for your given caliber and ammunition, taking into consideration your quarry and hunt location. You’ll then experience and practice actual field condition shooting positions: supported, unsupported, sling use, standing, kneeling, sitting, prone, shooting sticks, backpacks, on flat ground and hillsides using natural terrain features as support aides.